It’s Wowza Wednesday and I found this the other day during a trip to Michael’s. I just thought it was so cute. 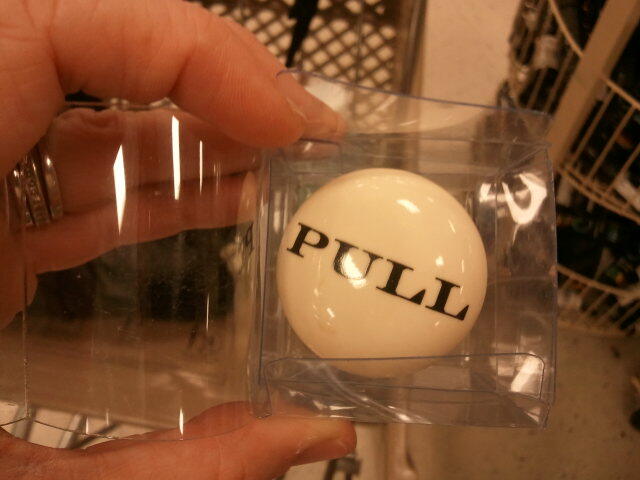 It’s a ‘Pull’ knob that was only $1! How cute would it be on a nightstand in a kids room? Those are the little fun details that can really add some quirkiness to a room. So simple, so fun and best of all ridiculously cheap! Have you had any Wowzas today?